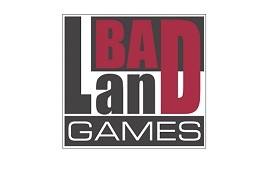 BadLand Games is a Spanish independent company specialized in the physical distribution of video games. Foudned in 2011, it distributes games for all platforms and counts important titles like the official video game of “La Voz”, the praised Telltale Games titles “The Walking Dead” and “The Wolf Among Us”, the franchises “Farming Simulator” and “Pro Cycling Manager”, “Blood Bowl 2” and more among its extensive catalogue. Recent additions to the catalogue are “WRC 5”, “Game of Thrones: A Telltale Games Series”, and “Divinity: Original Sin (Enhanced Edition)”.